In addition to knitting my heart out, I’ve recently taken up hand embroidery. I *really* don’t need another obsession, but I couldn’t help myself! I completed my first project yesterday, and while it’s far from perfect, I think it’s cute. I’m planning to lightly iron and frame it when I get the chance. I think my walls are in trouble. I could easily cover them with my amateur embroidery! I have discovered that embroidery is a whole lot easier to do than knitting when you have small children. There’s no counting required, and you can put it down in an instant should your attention be needed elsewhere. I’ve been pinning tons of embroidery patterns on Pinterest, and I really want to start another project. I’m not allowing myself to do anything else but knit Christmas projects until they’re DONE. I guess that means I have something to look forward to, right? Categories: Embroidery | Tags: birds, embroidery, flowers | Permalink. 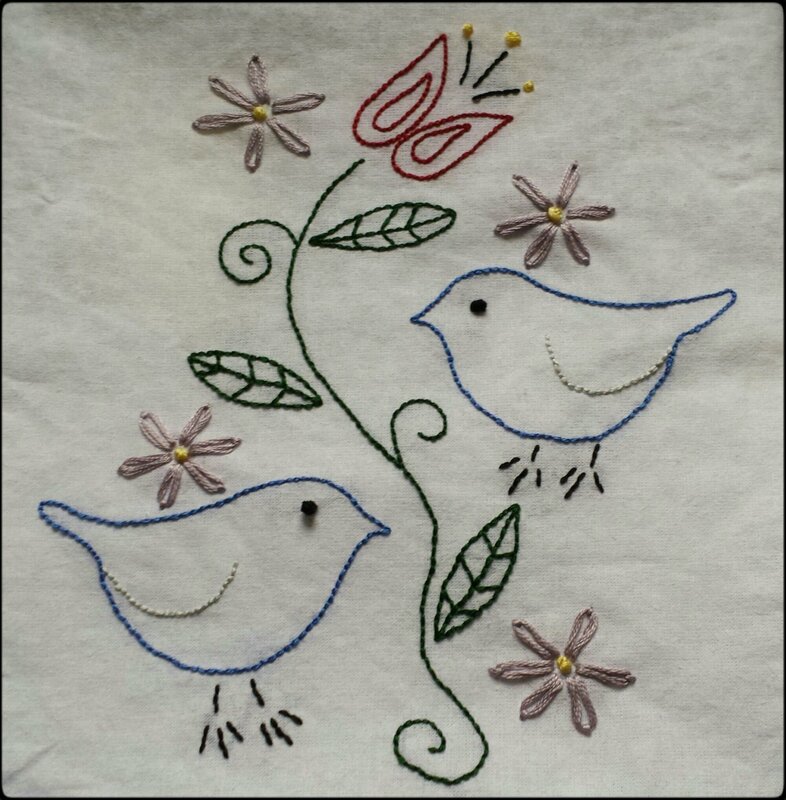 My first foray into embroidery was a bird design, too. They’re so cheery! Yeah, I do like birds! I think I want to try some flowers next. It’s so pretty and happy!